Not sure what these are but they were my mother’s day present from my youngest son and his wife last year. So pretty. 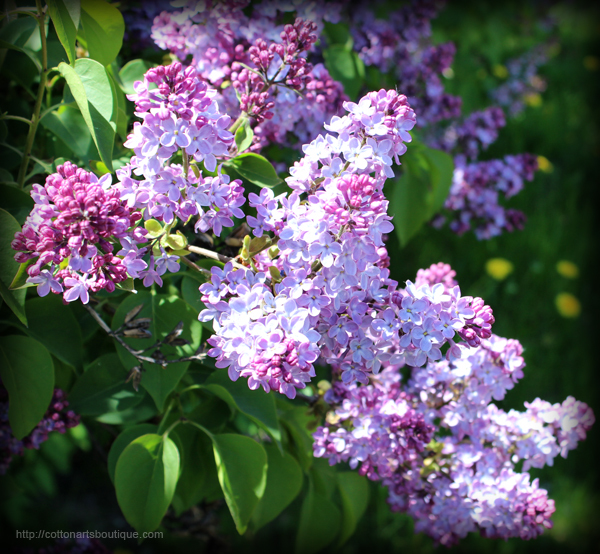 Is there anything better than lilacs … the perfume, the colour and they are one of the longest lasting spring flowers. 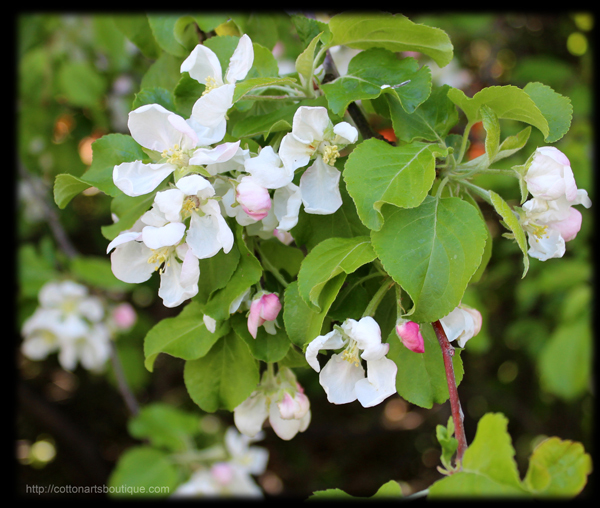 These are apple blossoms from the crab apple tree at the old country house. Those apples made the best apple jelly in the fall. 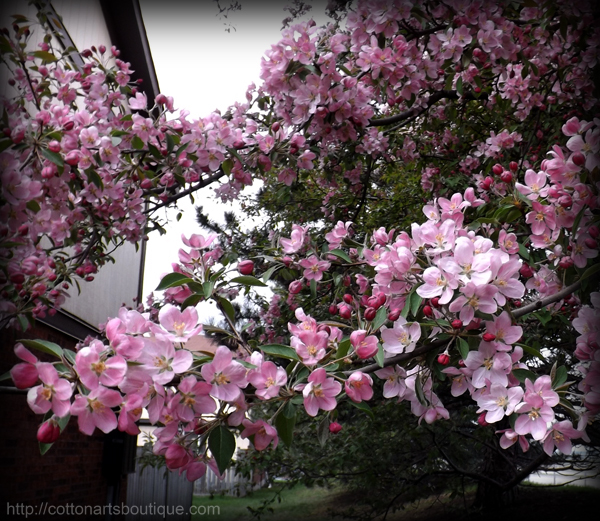 How pretty are these apple blossoms. They grow on an apple tree beside our little rental house. 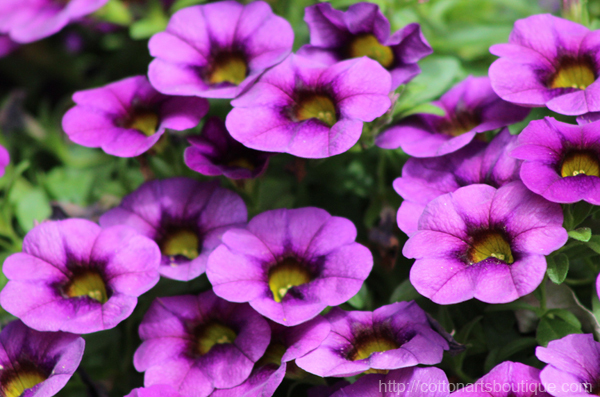 What a beautiful surprise that first spring. These two pieces are from September’s challenges at the Just Art site. 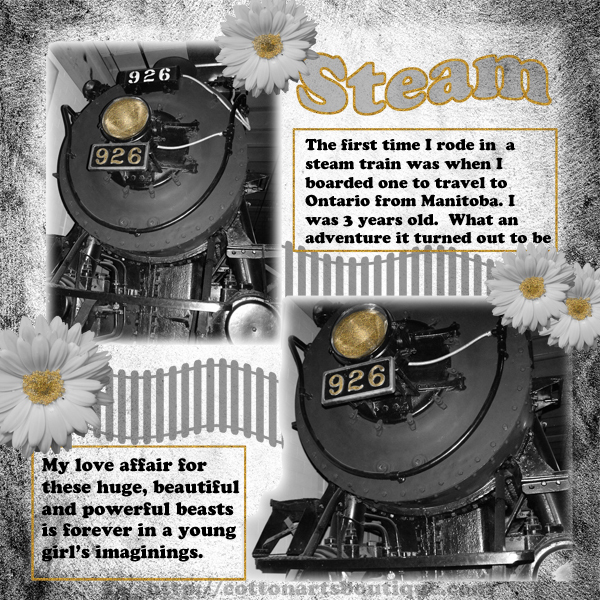 I love trains, steam trains especially. When the black and white plus one colour pop challenge appeared I knew exactly what subject I would pick. These beauties are sitting at the museum here in Ottawa and they are magnificent work horses. 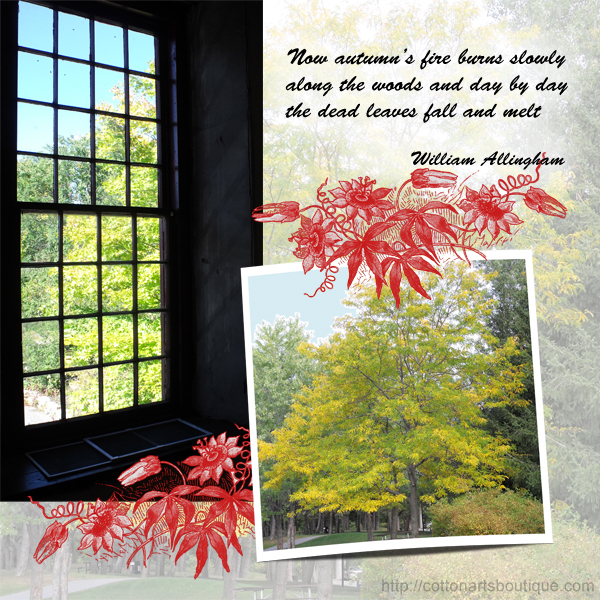 This window is part of the old mill in Almonte. I was up in the second floor when I noticed how dramatic a photo it would make and I love it but never really had a chance to use it and make it shine until now. The Doodle This challenge is one I hosted. The blog posting from the Creative Market with the cartoons worked into the images immediately made me think this is something different that would look great on a digital scrapbook site. This is one of two entries I made. The photo is of the Ottawa River. I have always loved this photo but never knew what to do with it. It was waiting for this challenge. The elements belong to Gabbi’s Wonderful Water World. Nessi came from an online colouring book site which I reduced and altered. 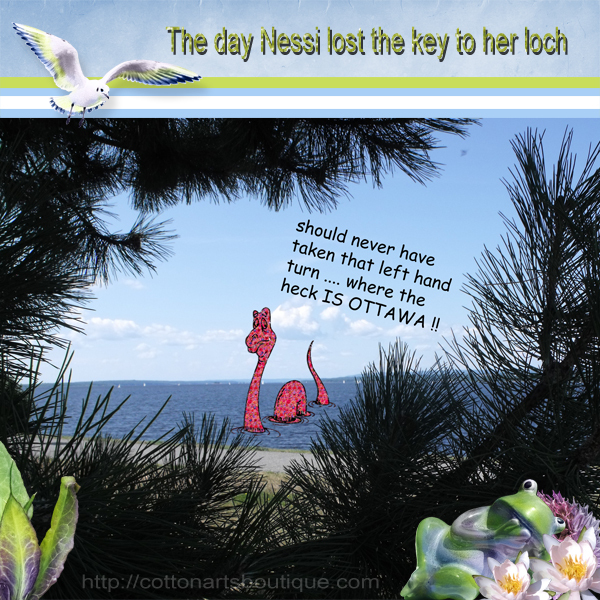 Poor Nessi, she is sooo lost. 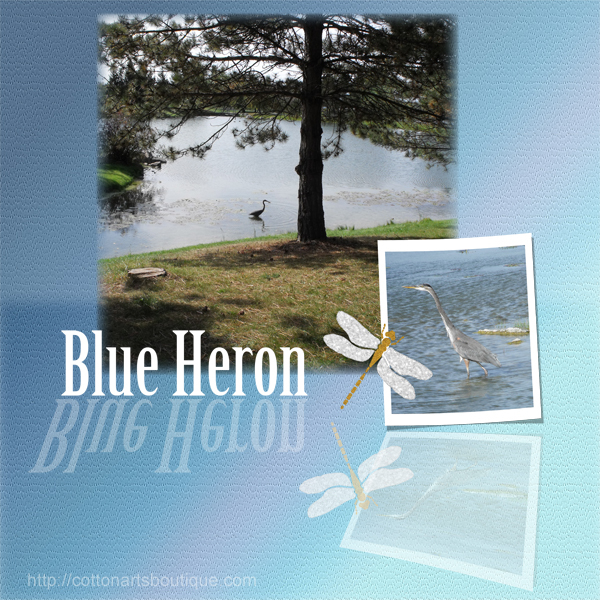 Blue Herons are awesome birds, sitting completely still for long periods of time, sometimes on one leg. This fellow allowed me to get in very close and take his photo several times. He did finally get his fish. There is more to his story but that is for another page. The last challenge for June at the Just Art site was pick a season. We had several parameters we had to meet. 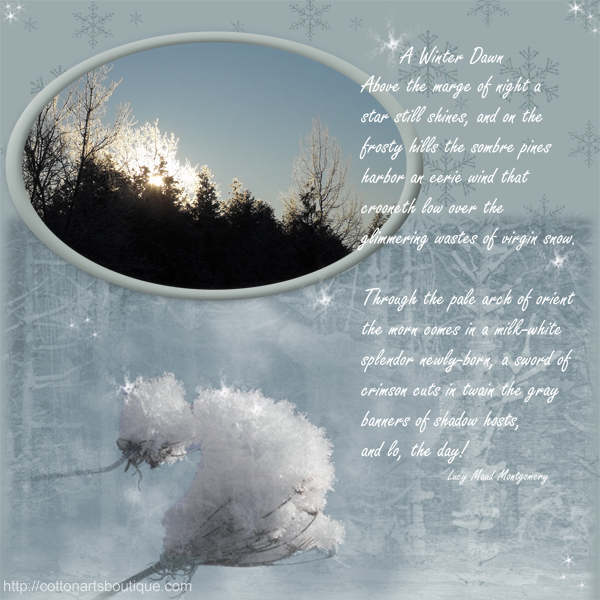 I have some beautiful photos of dawn breaking over the trees in the fields behind our old house. I am so glad I had the honour of seeing these sunrises and being able to keep them forever to look back on now that we have moved into the city.